In the best circumstances, teeth can last a lifetime. At Ora Dentistry, we are dedicated to helping protect and care for your natural teeth to save your smile and benefit your health. Even with regular general dentistry treatments, there are times when it is necessary or in our patient’s best interest to remove a tooth. When that is the case, we offer gentle tooth extraction in a comfortable, relaxed environment. Teeth need to be removed for a variety of reasons. A tooth that has succumbed to advanced periodontal disease may need to be removed. Trauma can also break the tooth root below the gum line where it cannot be repaired, leading to extraction. We understand that no one wants to have a tooth removed, especially when it will affect your appearance or mouth function. To make it less stressful, we have sedation options to keep you relaxed during the procedure. We also offer dental restorations that can replace missing teeth to restore your complete smile. While most teeth are left in place unless they are unhealthy, wisdom teeth can be the exception to the rule. These last molars can become impacted, growing the wrong direction when they finally arrive in the late teens or early twenties. This can cause a variety of problems, from misalignment of your teeth to infection or sinus problems. Dr. Dalla can proactively remove problem wisdom teeth that are impacted to protect your smile and your health. We can also remove wisdom teeth that are in place but are causing issues later in life. When you need one or more teeth removed, you want a dental office that is experienced in this procedure. 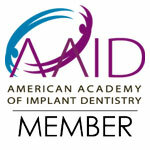 Dr. Dalla has extensive training, education and experience in removing problem teeth. We offer a few different sedation options to make you comfortable during the procedure. Contact Ora Dentistry today to schedule your consultation for tooth removal.